What happened to my product? Running the gauntlet of transforming product concept into reality can be daunting. Too often, compelling product concepts are eroded by delays, cost overruns, and feature trimming. It seems 'agile' often is not. Deacon Lloyd helps businesses navigate the product development process to maximize speed-to-market and new product potential while minimizing risk and cost. We help businesses redesign and implement product development processes using proven best practices tailored to their unique organization. In fact, we often take it a step further and help clients exercise their new practices by helping to manage a critical development project, which not only facilitates on-time, on-budget delivery but also serves as a learning opportunity for the client's organization. It's not just a matter of defining thorough, clear, precise product requirements. The best product managers also articulate the product vision and its story -- target customers and their problem(s) to be addressed; unique compelling value expected; positioning vs. competitors; longer-term aspirations for evolution and eventual standing in the market. Many downstream issues in development can be avoided with the right upfront diligence. Where vision meets creativity and competence. Where engineers, designers, and developers get to apply their expertise -- but not without some guidance, feedback and iteration along the way. We can help ensure your managers drive -- not dictate -- solutions that support their product vision and requirements while also giving developers/engineers the freedom to create something special. This is not the time for intrusive scope or design changes. We'll help your managers understand the right way to monitor and manage development. From what we've seen, too often it is the product managers who exacerbate the development challenges, resulting in delays, cost overruns, etc. After enduring delays due to poor requirements definition and multiple scope changes, product teams often try to rush testing to make-up time. We can help you implement processes that recognize the value and proper approach to testing & fixing your new product. 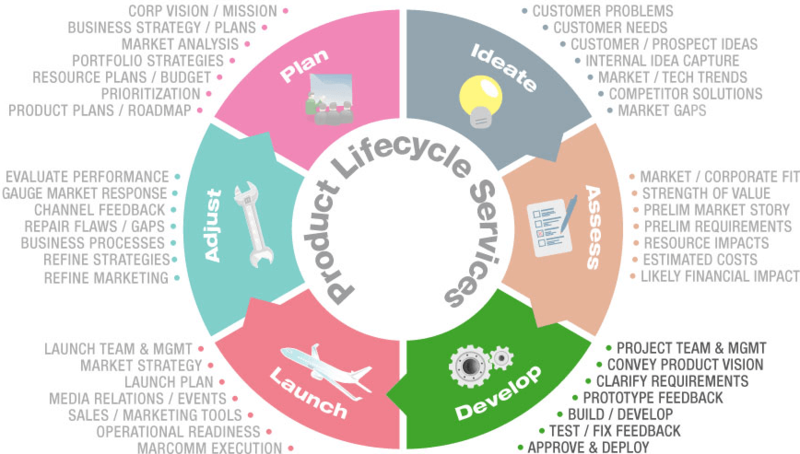 We'll help your team design and execute beta test plans that exercise your new products with the right customers to not only generate feedback (and potential endorsements) but also promote organizational readiness for full market launch. Great product development starts and ends with strong product managers equipped with the proper skills and mindset to navigate and nurture their new product or service through the development process. It's not just proactively managing risk but also providing the necessary thoroughness and leadership to encourage creative solutions to the inevitable challenges. Is your product management function strong? Read our article "Six Signs of Weak Product Management." Copyright © Deacon Lloyd Associates, Inc. 2016 All rights reserved.